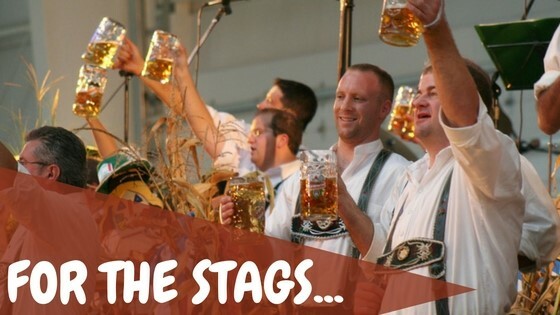 How Do Different Stag and Hen Activities Compare? Whilst both are an active recognition of the ‘last night of freedom’, stag and hen dos couldn’t be celebrated more differently. Not one stag or hen do is the same – from sports to spa days, city breaks to beach escapes, there are loads of options designed to satisfy every kind of stag or hen! If you’ve been tasked with planning a stag or hen do this year, then fear not, as we’ve put together a quick, simple guide to help you weigh up the pros and cons of each kind of extravaganza – whether it’s a boozy trip to Blackpool or a sophisticated spa weekend – we’ve got you covered. Whether it’s abroad or here in the UK, brewery tours are an increasingly popular choice for stag dos. Bratislava is a great location for a brewery tour – it’s extremely cheap and extremely cheerful! A mix of ancient capital and modern tourist destination, it’s a breath of fresh air compared to your usual stag do getaways. A pint of beer is the equivalent of around 50p! Brewery tours can be enjoyed in just about every country across Europe – so choose your destination wisely and make sure it’s somewhere everyone will love. Brewery tour experience days will typically include a tasting session, a tour of the entire brewery and food/refreshments. Some places let you make your own bottle openers to take home, too! This is a great stag do idea, combining two activities that are sure to be winners amongst stag do attendees – boozing and betting. Typical stag do packages for a night at the dogs include entry, drinks vouchers, meals, and a free bet to start the evening off. Even if you aren’t a winner, you’re guaranteed to have a great time, with plenty of beer to drown your sorrows or raise a glass to your winnings! It’s a cracking way to kick start the evening before things get a little rowdier as you make your way around the pubs and clubs in the city of your choice. Sheffield is famous for its greyhound racing – check out Owlerton Stadium for more info. A breakdown of the day: tickets can range from £3 - £15pp for entry. Most places will do package deals for stag dos, including admission and a race card, food, drink and between two to three free bets. For hens who aren’t fancying a particularly crazy weekend, then a zen hen party just might be the perfect option for you! Yoga retreats have become a hit with hen parties over recent years – offering a range of different yoga style classes, afternoon tea, dinner supplied by top chefs, and the key ingredient, of course – prosecco! Places like The Well Scene offer bespoke packages for health-conscious brides, which include things like yoga, a healthy brunch, afternoon tea, and dinner supplied by nutritional experts. Prices start at around £35pp. Yep, you read correctly! Dance Party Experience run themed classes, such as Dirty Dancing, Bollywood, and Charleston, for hen parties at studios all over London. It goes without saying that one of their most popular packages is dedicated to the sassy shapes of Queen Bey. Bust some moves in the dance class and then head off into London town for a few cocktails and more dancefloor-based activities! You’ll have a 1-1.5 hour private lesson led by a professionally trained choreographer within a private dance studio. Beyonce dance classes are available in various locations up and down the country, including London, Manchester and Liverpool. Paintballing is one of the most popular stag and hen do activities and is it any wonder when it combines the outdoors, all your friends, a healthy bit of competition, and a great big belly laugh?! Whether it’s a full day, or just for half the day, paintballing is a perfect way to inject a bit of light-hearted fun into your stag or hen weekend. You can expect your paintballing stag or hen party to cost between £20-£50 per person. Most stag or hen parties will do paintballing in fancy dress, so make sure you factor in those costs as well! 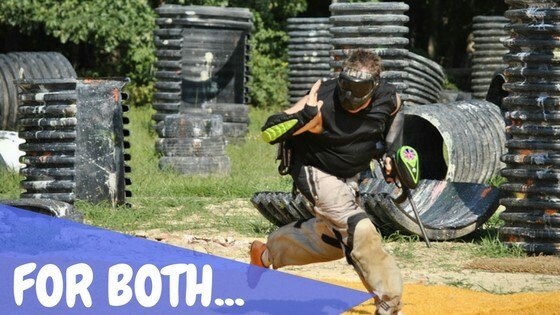 Dependent on the venue, the price of your visit will likely include 100-300 paintballs and use of the overalls. From self-catering cottages to luxury homes, indulging yourselves in some time away with your nearest and dearest is the best way to throw a hen or stag party! Self-catering accommodation gives you lots of options – cooking a big dinner, hiring caterers to cook one for you, order a takeaway and have a few drinks before heading out on the town, or bring the party to you! Ladies, why not try creating a ‘Pimp Your Prosecco’ area? Fellas, buy a selection of your favourite ales in mini kegs for your very own bierfest! You can expect to pay anything between £50-£200 per person dependent on location, party size and length of stay. The luxury of self-catering accommodation is that it’s so flexible, and attendees of the stag or hen can come and go as they please! Check out Group Accommodation for some great stag and hen party houses. If the stag or hen fancies themselves as a bit of a budding wine connoisseur, why not indulge their senses with a wine tasting experience? Wine tasting experiences are becoming increasingly popular, and you’ll no doubt find one in your nearest town or city, or visit Wine Unearthed for wine tasting with a twist – including pub-style quizzes and blind tasting challenges. A sophisticated start to the evening, for sure! Wine tasting experiences are available all over the UK, at various venues, and at varying expense. Prices are usually inclusive of entry to wine tasting venue/vineyard, introduction to your sommelier, a tasting of a variety of wines and a lesson on how to taste wine properly! Stag or hen? Best man or maid of honour? Which of these activities tickles your fancy? Tweets us @MayhemPaintball – or if you’ve tried any of these, be sure to give us your verdict!